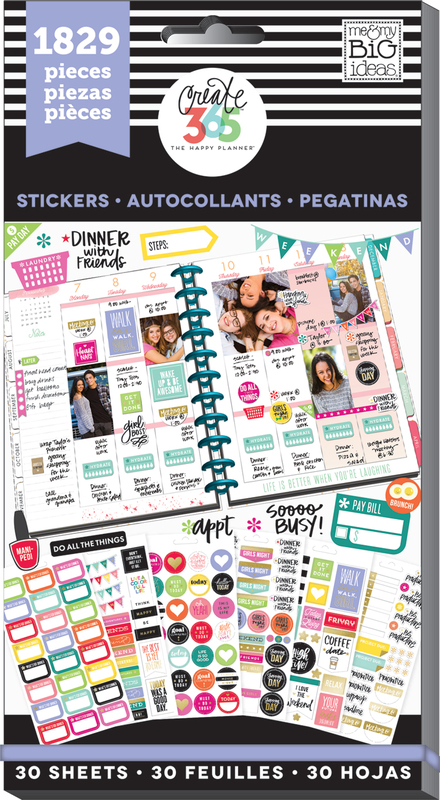 Today we are sharing the first week of September in the 'Botanical Garden' Happy Planner™ of mambi Design Team member Mary-Ann Maldonado (blog | IG). 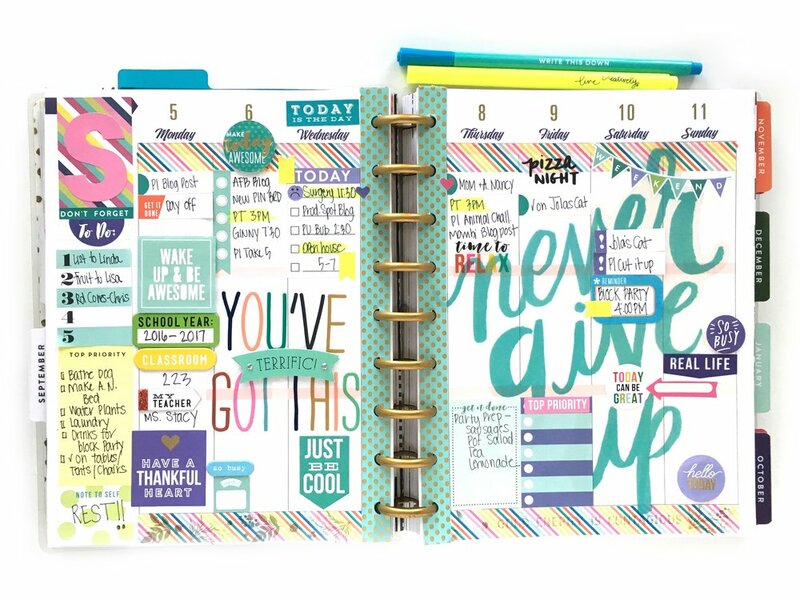 'Never Give Up' is just the phrase we needed to read today, and love the idea of using one of our BIG mambiSTICKS stickers as a base-layer on which to pile sticky notes and other fun embellishments on top of. 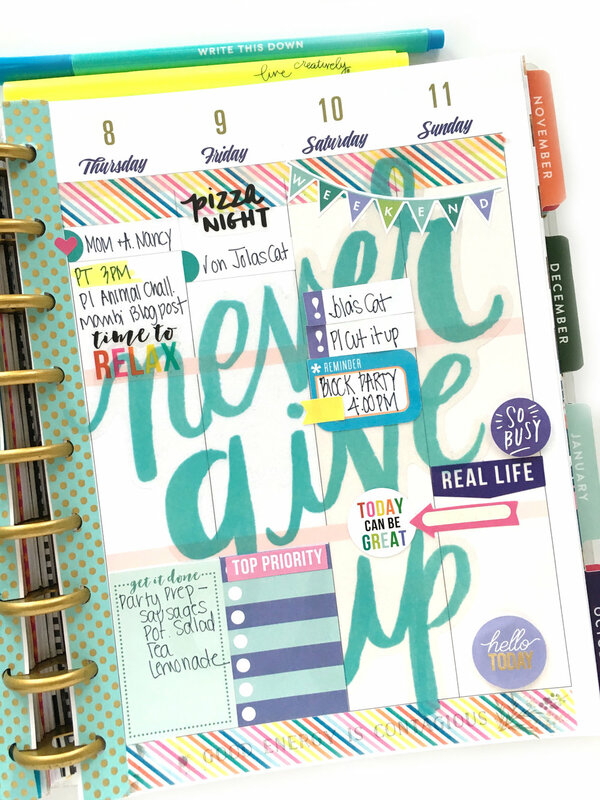 "This week in my Happy Planner™ was HUGE week for my son and I! It was his full week (minus Labor Day) of 6th grade and I had a simple surgery. I decided to combine the two events in my Happy Planner™ with motivational words and practical documentation. Although my planner looks full, there was plenty of room for additional sticky notes. I applied them directly to the top of the base stickers. Layers is key. I didn't do too much towards the end of the week so having the large mambiSTICK was perfect way to decorate the base of my page. I also went back through my stash for some school decor. I wanted to document his teacher, grade and room number."